Complimentary admission, spaces are limited. Victuals is a group exhibition featuring works as visual art, installation, and performance by artists Joshua Strydom, Sabrina Bellenzier and Wenlin Tan exploring the narrative of food and drink as an intangible form of heritage and identity. The exhibition takes the form of a pop-up coffee shop within the gallery space. Incorporating works of visual art, photographic installations, and interactive performances; merging the traditional heritage of food and drink with the practice of artistic expression. 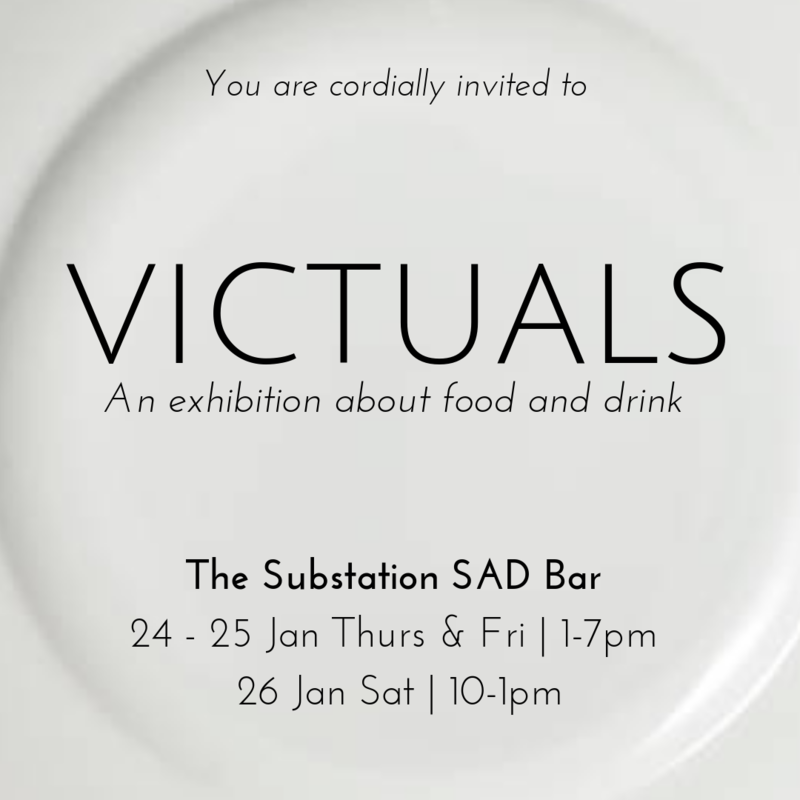 Victuals is part of Singapore Art Week (19 – 27 January 2019). A joint initiative by the National Arts Council, the Singapore Tourism Board and the Singapore Economic Development Board, Singapore Art Week reinforces Singapore's position as Asia's leading arts destination. The nine-day celebration of the visual arts offers a myriad of quality art experiences, from art fairs, gallery openings, exhibitions, lifestyle events and public art walks, to enriching discussions on art and culture.